Food waste is a huge social issue around the world, and in the UK alone, almost 2 million tonnes is sent to landfill by the food industry. To combat this, the first thing businesses need to do is to measure the extent of the problem. Current processes such as manual spreadsheets can give way to human error - which can become costly and impactful on businesses over time. Using outdated, legacy systems and processes for ordering, tracking and inventory may lead to mishandled stock - resulting in inevitable food wastage. However, with advancements in technology like artificial intelligence (AI) being introduced to the industry, commercial organisations such as retail and hotel providers can now automate a number of tasks that aim to reduce waste. The first step to reducing commercial food waste is to begin by understanding a business’ food habits, which could stem from a number of factors. For instance, it could be to pinpoint things such as how they order the required foods needed for day-to-day operations as well as seasonal events (where there could be demand for stocking more food). AI is already being used in this avenue in one way, such as Farmstead’s FreshAI where organisations are able to forecast and predict their requirements, based on big data analysis. This data can include everything from growth trends, past sales, weather, seasonality and big calendar events (such as festivals, sports events). 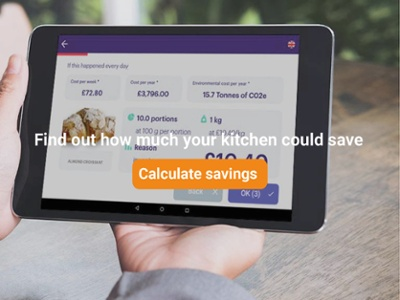 Having an insight into this data means businesses like hotels, sports stadiums with commercial kitchens, food retailers and more can accurately understand how much food to order and when by predicting what they actually require - giving more opportunities to cutting down on waste. Being able to measure this kind of waste can allow chefs to understand the cause of the problem so that it can be addressed at an earlier stage. This is where another use for AI technology comes in, where it can gather data on tracking current food waste and allow businesses to become smarter and aim to pinpoint food wastage. Winnow Vision is one such tool which uses this technology and can result in helping chefs to cut costs on ingredient ordering and saving time on manual processes. Winnow Vision is a powerful computer vision product that can help chefs map their food waste. Its smart AI technology is an intelligent, learning machine which can recognise what’s being thrown away. The more it learns the less it will require any human interaction when food is being thrown away. Additionally, the product requires little training, to begin with. After a period of learning, there will be no training required for employees e - it will be recording waste data without any input. By introducing the computer vision and automation into kitchens, Winnow is dedicated to tackling the food waste problem at scale. 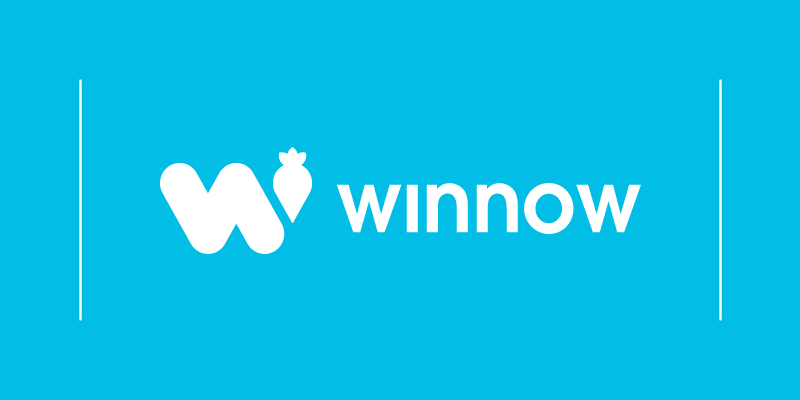 Winnow has helped commercial kitchens save more than $30 million in annualised food costs which equates to preventing over 23 million meals going in the bin. The new, AI-powered Winnow Vision is already installed in over 75 kitchens and the technology will be rolled out to hundreds more this year. Clients such as IKEA UK have been working with Winnow to halve food waste by August 2020. They have already cut food waste by 50% in the UK & Ireland, saving over 1.2 million meals per year. Shine a light on how much your business could save using Winnow Vision. Calculate your savings now.